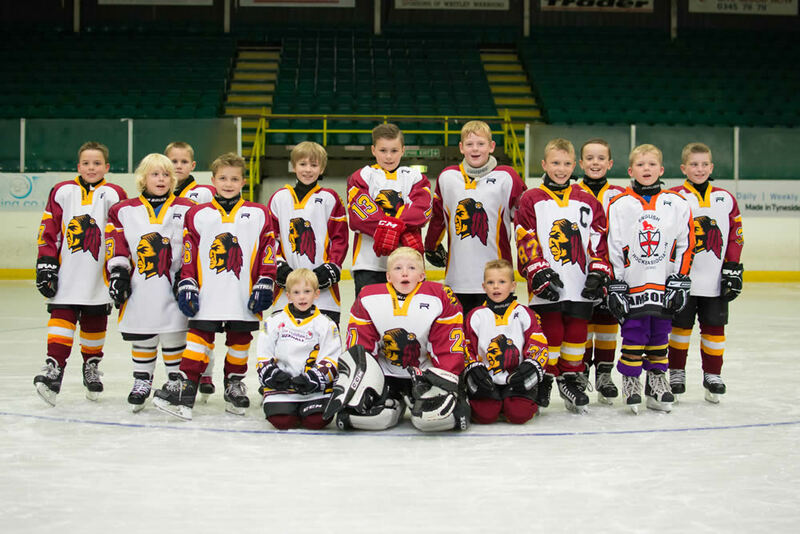 The Whitley Bay Arrows Ice Hockey Team consists of several players from the Mischiefs (U09’s) and played their first “full ice” game of the season on 13 September 2015 against Kingston. Whitley came away with a loss of 8-2, both goals scored by the Captain #87 Harvey Starkie. All the players kept their head high during the 4 periods of 16 minutes with Netminder Callum Sams receiving 23 shots on goal and receiving the Spirit of the Game. The Arrows next game is to be held on Sunday 11 October 2015 against Trafford Tornados. This will be the first time the two teams have played each other so should be an interesting game. The face off is 12.30 . The Tornados are currently placed top of the u11’s league with 2 games played and 1 win, 1 draw. Both Arrows and Mischiefs are currently looking for donations and possible sponsorship help towards the newest players receiving their team tracksuits, if you are able to help the next generation of Ice Hockey players please get in touch via our website.